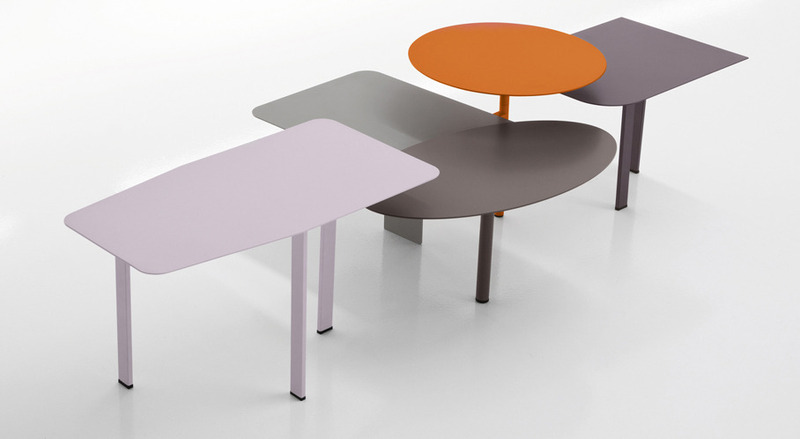 Collage | Home Studio, Inc.
Collage is an original composition of painted metal coffee tables, available in four different colour combinations. 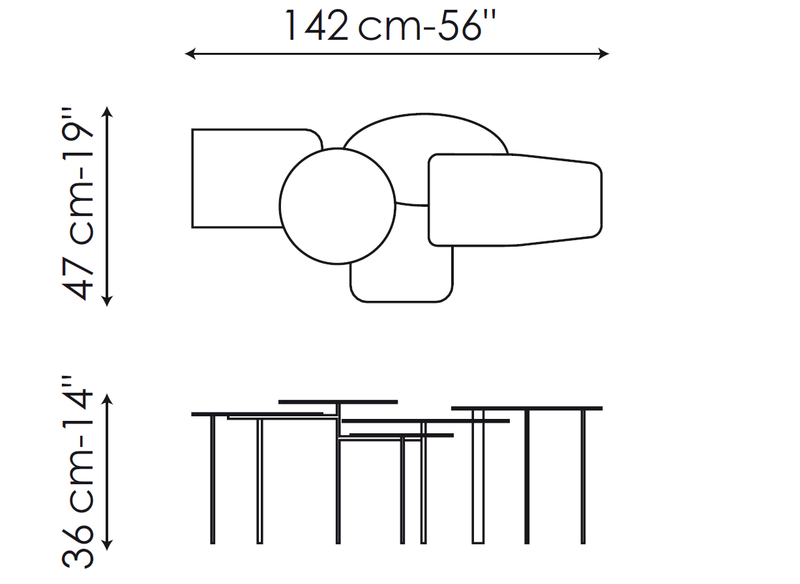 All except one of the coffee tables are connected. The round coffee table in the middle acts as a hinge for all the others, which are attached and can be positioned freely around the first. An extra coffee table (free of the others) can be positioned so as to redesign the composition.